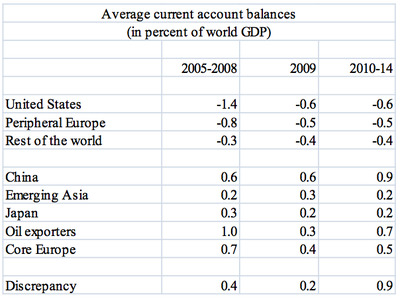 Here’s a nice forecast of the world’s current account imbalances from an IMF research paper, shown to the right. China and oil producers are likely to become an even larger global imbalance when it comes to trade surpluses. As a percentage of global GDP, China’s current account surplus could increase 50% to 0.9% of global GDP. Oil exporters’ trade surpluses will more than double to 0.7% of global GDP. Obviously the China forecast shown will depend heavily on how the yuan-dollar rate plays out in the future. We could easily see China become a net importer if the yuan were hiked substantially for example. But the oil forecast seems less subject to wild swings, which means that oil could become a far larger part of the global trade imbalance debate, on the scale that China currently is. Thus if the above scenario plays out, expect OPEC and nations’ oil dependence to come under substantial fire, even more so than they already are. 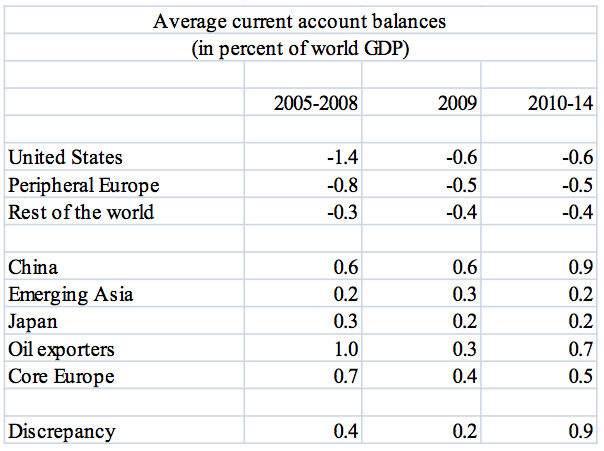 Nevertheless, we’ll just highlight that the IMF paper mentioned actually expects overall global imbalances to ease. We’re just using one of their tables to suggest that in some places they could worsen.